Because we live in a culture that's so infatuated with consumption, we rarely stop think about how all of the stuff we buy—from paper goods to jackets or shoes—is impacting the environment. Almost anything you can think of that you have to go to a store or click on an Amazon link to buy contributes in some way to carbon emissions. Except for these wildly cool, innovative sneakers made from algae. Yes, really! A London-based company called Vivobarefoot has partnered with a Mississippi-based, "eco-crusading" 2-year-old company called Bloom, which is behind “the world’s first plant-based, high-performance solution to synthetic and petroleum-based flexible foams.” Bloom has also made international headlines recently for partnering with World Champion surfer, Kelly Slater, to create surfing traction pads that are made with their eco-conscious material. Together, Vivobarefoot and Bloom are introducing sneakers that replace petro-foams with EVA foams that originated as harvested algae biomass. Vivobarefoot notes that Bloom's harvesting occurs at freshwater sources that are at high risk of algal bloom, and the inventive process is said to simultaneously reduce carbon emissions and clean water. 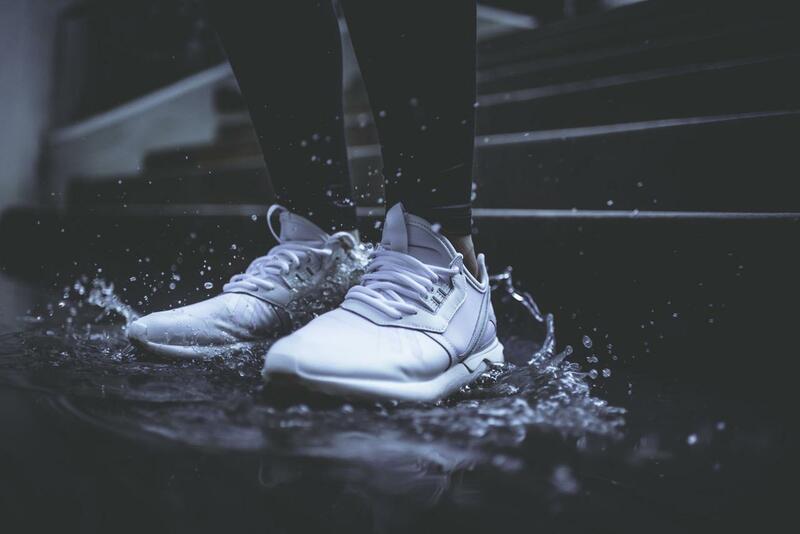 In fact, Vivobarefoot's announcement about the partnership asserts that, "Every pair will help re-circulate 57 gallons of filtered water back into natural habitats, and prevent the equivalent of 40 balloons full of CO2 being released into the Earth’s atmosphere." Amazing. Bloom's process involves harvesting in freshwater sources that are at high risk of algal bloom. Here's the deal: Chemical wastes, like phosphorous and nitrates, which are generally found in fertilizers, find their way into our water system, and they tend to trigger the growth of far too much algae. The excess algae releases toxins that affect both humans and animals while depleting oxygen in the water and blocking sunlight, both of which are integral to the health and survival of marine wildlife including, mammals, fish, and birds. The overgrowth issue also leads to water and air pollution. Time to put on our walking shoes!! Blooms eco-facts today include the midsole and the insole!! We think SOLE-ly about moving forward!! And as if that wasn't enough, the algae actually serves as an ideal material for sneakers that need to be lightweight and flexible. Basically, it's more than safe to call these algae-based sneakers a major win for both the earth and the consumer, as the innovative kicks are addressing a whole slew of environmental issues. Fingers crossed this is only the very beginning of an exciting, eco-friendly trend. In the meantime, you can pick up your very own pair of the Vivobarefoot x Bloom Ultra Shoe, starting in July, available in stores and online.